I find it interesting that Donnie Avery still doesn’t have a place to call home. 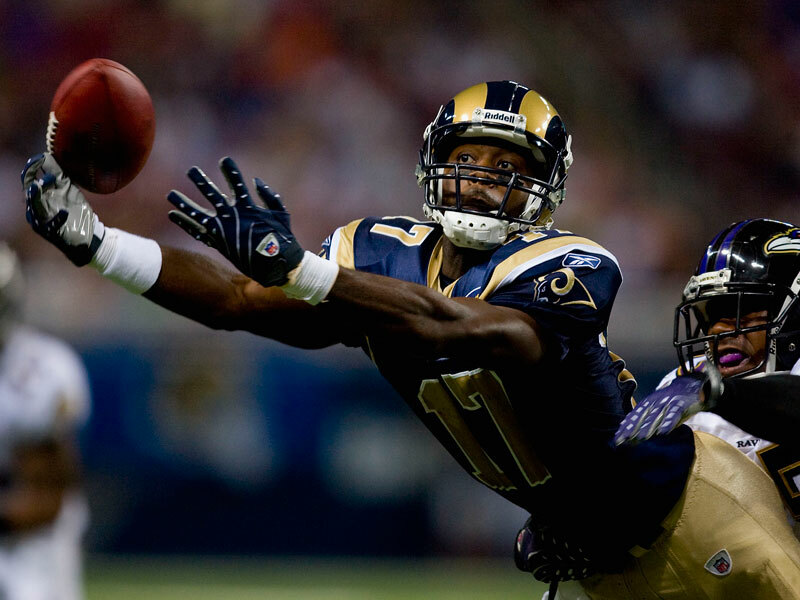 The first wide receiver taken in the 2008 NFL draft was cut by the Rams on 53-man deadline day, but is yet to find work elsewhere. Since then, Donnie has had workouts with other teams, but is as yet unsigned. This got me thinking – why? Well the obvious answer is injury. 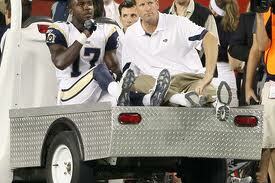 Last year in the preseason, Donnie blew out his ACL against the Patriots, and went on to IR. With Sam Bradford arriving in St Louis, Donnie was set to be the team’s deep threat to stretch the field, and give Sam that option of going over the top. His injury left the Rams short on speed at WR, and in order to replace him the Rams brought in Mark Clayton from the Ravens, and UDFA Missouri product Danario Alexander. Despite some early chemistry with Bradford, Mark Clayton was lost for last year with a patellar tendon tear against the Lions, and we all know about Danario’s 5 knee surgeries; all of which left the 2010 St Louis Rams 30th in the NFL in passes of 20+ yards, and 27th in passes of 40+ yards (just 4 all season). What really intrigues me, however, is the fact that 12 months on the Rams have retained the services of Alexander on the 53-man roster (although he was inactive against the Eagles), and have re-signed Mark Clayton to the PUP list (meaning he will be eligible to join the squad after week 6), but Donnie is on the streets. There were reports coming out as early as June that he was running in the 4.4 40 range again, not quite back to his best, but getting there. 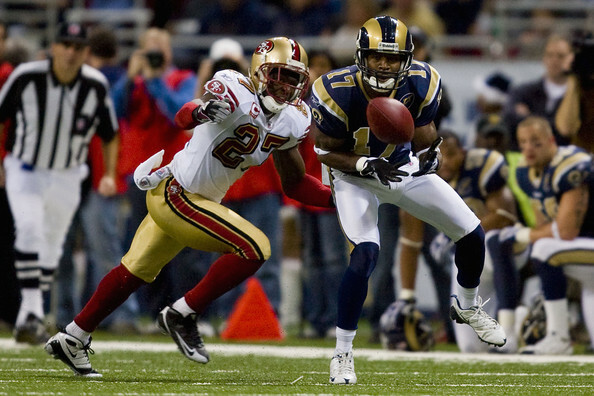 This kind of speed was obviously lacking in 2010, and can’t really be found on the Rams roster now either, so did the Rams make the right decision letting Donnie go? Strangely enough, proof comes from elsewhere in the NFC West. Since being cut, Donnie has had workouts with 2 other teams in the NFL: San Francisco 49ers, and Arizona Cardinals – both of which have as yet declined to offer him a contract. These bits of information can tell us two things: 1. Teams that have had to face Donnie in the past know what he’s capable of. Playing against him twice a year, the 9ers and Cards have had to game plan against his speed, and were obviously intrigued enough to take a look at him. The fact that they didn’t sign him to a contract, however, tells us point 2: Donnie’s lost more than it might seem. His straight line speed might be coming back, but that doesn’t necessarily translate in to game speed. Whilst he did catch a 19yd TD pass from AJ Feeley against the Titans in preseason, Donnie didn’t get many game reps with the 1st team (if any), and finished with just 6 catches and 91 yards over the 3 games he played in. His performances in games and camp weren’t enough to retain a roster spot over a 2nd year UDFA who’s had 5 knee surgeries... Not only that, but teams like Arizona and San Fran, who could use Donnie to tell them a little about the Rams new offensive playbook so they had some insider knowledge when they eventually meet each other in the second half of the season also didn’t want to sign him, even for a short period. Donnie has lost enough that even this positive point to his name isn’t enough to get him a contract. It’s not a great situation for a WR to be in, especially when you can’t prove you’re more valuable than the 6th or 7th receiver on a team’s roster, but it’s where Donnie finds himself currently. I have no doubt that he’ll get a job somewhere eventually – injuries will take their toll, and teams will need a veteran who could come in and play straight away. That may even be back in St Louis, depending on how Mark Clayton comes along on the PUP and how many of the other receivers blow a knee out before the end of the year (the O/U on this is 2.5 on my books); or perhaps with all the other teams in the NFC West taking a look, he’ll end up in the wide receiver graveyard of Seattle. No matter what happens, it’s a long way back for Donnie.